Marit Allen's work came to my attention when she did the costumes for the miniseries Scarlett. If there is anything supremely wonderful about this re-creation and re-invention of Scarlett 'O Hara, it would be the costumes designed by Marit Allen. Entering the bustle era, one can see many wonderful sequences where Scarlett (as played by Joanne Whalley Kilmer) wore fabulous gowns and day dresses. I've seen the "making of Scarlett" and saw Miss Allen fitting dresses on the actress there. She seems like a nice, pleasant person to work with. I like that the gowns were more adhering to realistic interpretations. Now Vivien Leigh and Joanne Whalley are almost the same height (Vivien Leigh = 5'3 and Whalley at 5'4 ). But it seems that Whalley looked smaller on screen -- and then I realized that height doesn't necessarily translate to similarity of human form. Vivien Leigh had a longer neck and thus, lower shoulders. This may be the reason why I see her as a longer person vs. Whalley. The point of this observation is how both carried their gowns. Leigh's long neck and was less heavy on the bosom which made her lighter and longer. Whalley was on the voluptuous side (methinks) and therefore looked a little plump with the dresses. But movement wise -- Leigh was swan-like the way she carried her costumes with hands that would fly in the air, turning her body to create sways and movement with the dress -- as if the dress movement itself was part of the emotion she wanted to project. Well, that's just a my observation on the differences. I am not one to bring down the reinterpretation of Scarlett. I am actually delighted with the way the dialogues have been written -- that doesn't mean I like the storyline. That's another story though. We go back to this dress. Here is one Marit Allen gown re-created by Tamara Gavrysh for me. It is the gown worn by Scarlett to a Charleston Ball and after which the one she wears when she almost drowns. Poor Joanne Whalley almost did! Watch the youtube link to the making and you'll find out how. 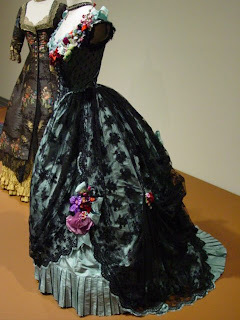 I will show you more detailed photos of this OOAK gown later on. I think the detail of Tamara's gown shows a great approximation of the Marit Allen gown. And here is Tamara Gavrysh's re-creation of Marit Allen's gown. What I like about her recreation again is the attention to detail: the choice of lace, the color of the flowers and the draping of the gown. She also made gloves and a wonderful purse (is that what you call it) and a collar which I yet have fix a bit. And a little more about Marit Allen who I feel deserves more recognition than what she got. 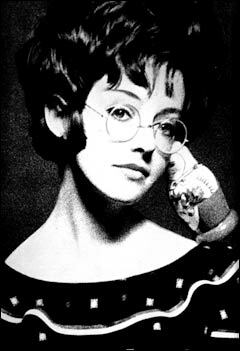 She passed away in 2007 at the age of 66 because of brain aneurism. She was a beautiful and talented lady, and with this gown I do salute you! Marit Allen has been the costume designer on two previous films directed by Ang Lee, The Hulkand Ride with the Devil. She was a Costume Designers Guild Award nominee for her work on Stanley Kubrick's Eyes Wide Shut; an Emmy Award nominee for her costume design on John Erman's miniseriesScarlett; a CableACE Award nominee for designing the costumes on Ivan Passer's telefilmStalin; and a BAFTA Award nominee for Michael Radford's White Mischief. Early in her career, Ms. Allen collaborated with director Nicolas Roeg, on Don't Look Now andBad Timing: A Sensual Obsession, and would later reteam with him on Eureka and The Witches. What a beautiful outfit! So detailed! I still have yet to see the miniseries. Thank you Dave! The mini-series is better than the book. The dialogues are full of Scarlett's sarcasm too -- she isn't Mitchell's Scarlett, nor is she Vivien Leigh. I think the actress tried to make it her own. I think she knew from the start it would always be compared to the icon. I can't say I like the Scarlett miniseries too. But the costumes are worth looking into. Hello :) I'm the first time on your blog. It's very interesting and beautiful. I love it. I love film and book 'Gone with the wind'. Thank you Marille. I am glad you're enjoying the posts. Although not much has been posted. 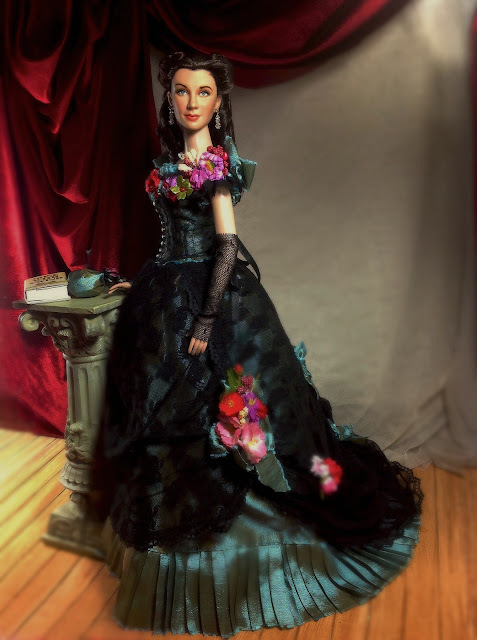 Been quite busy and dolls are way too far in the US for me to have substantial access to fill a Scarlett 'O Hara blog. I hope you pick up somehing. Poland is a very beautiful country. Miss Poland was one of my favorites in the Miss Universe by the way. Thank you and Merry Christmas!!! Wow! I'm so glad you like Marit Allen's designs too. I think she designed to put life in a project. It was sad she had brain aneurysm. But she must be still designing well where she is now. Hello Jael! I will tell her about that. She will be very happy. I must admit for a newcomer who hasn't studied dressmaking for dolls, she is very perceptive and instinctive with her talent: choice of material, cut, fit, choice of color. She packs them so well too. 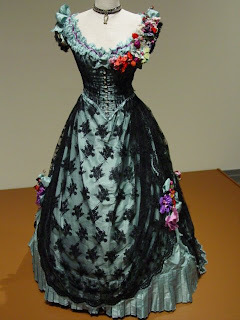 Beautiful design-love the way the lace drapes. Kudo's Tamara!